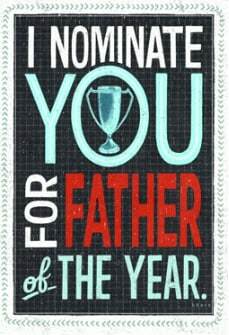 Father’s day- a lovely day to honour the idle figure of your life is around the corner. Are you planning to do something special girls, for your first love? Or planning to give a personalized gift to your hero, Boys? There are lot of ways to celebrate this day and I am sure you must be planning something very loving for him but don’t you think that everybody can give a gift or something of value to his/her father but your loving dad deserves something designed with personal touch and care. If you keep this desire and want to fulfil this in your unique way then a lovely customized card is all you need to garnish this day with a pinch of love and care. Various websites give you a chance to personalize the card in your own unique manner. You can design it the way you wish and with a sword of pen write something very much personalised as a little gesture to thank him for all the pains he took for you! 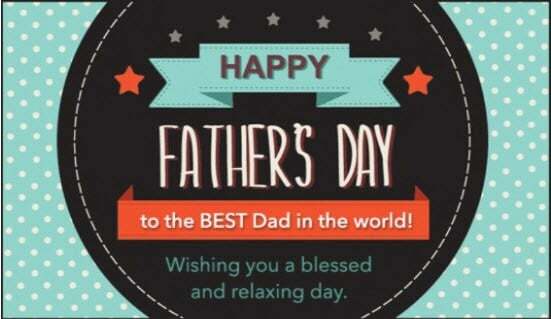 A card is the best gift for your DAD (d Amazing DAD) as it acts as a mirror of what is in your heart. Here below we have gathered some of the websites link which can provide a template for customizing the card. If you want matured and out of the league cards then this website is for you. 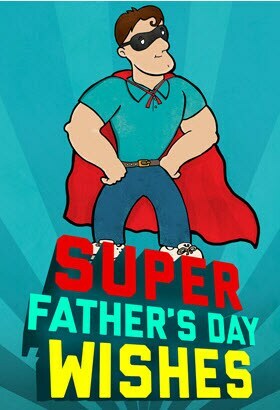 It contains sensible cards with messages like you are special man and the classy ones having song, videos dedicated to dads! check out this site for some unique ideas. 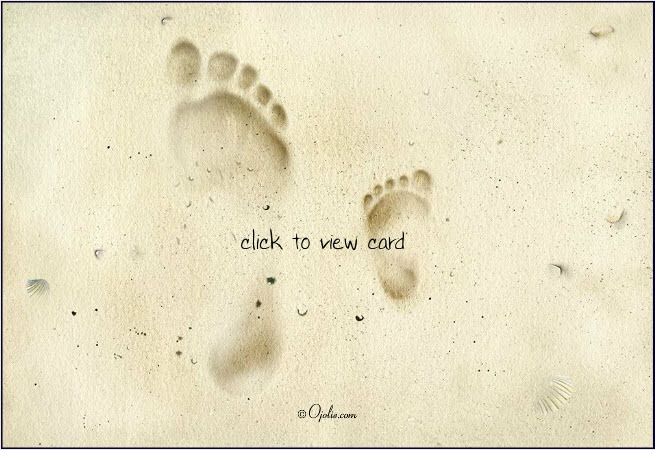 This is a website allows you to send various cards giving different messages. From simple cards conveying warm wishes to miss you, thank you or to give him a toast and many more varieties to choose from! They have separate set of cards for girls and boys to choose from! You can imbibe your message within and these flashy cards will steal his heart! Just like its name it is fusion of some mad and sensible dad tracks. You can carve out a message and put your dad’s picture in it! There are multiple roles played by dad in real life and based on that you can fit him in and show him the rocking side! If you too care for him then here you can find the collection of cute cards and decorate them with your personalised message! 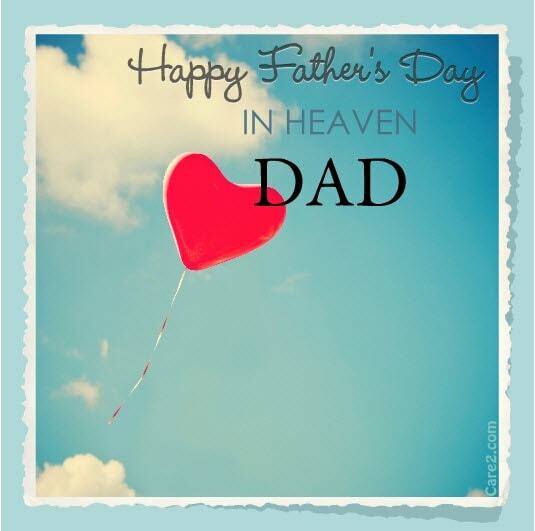 You can add an image or send the animated ones to your hard working dad. 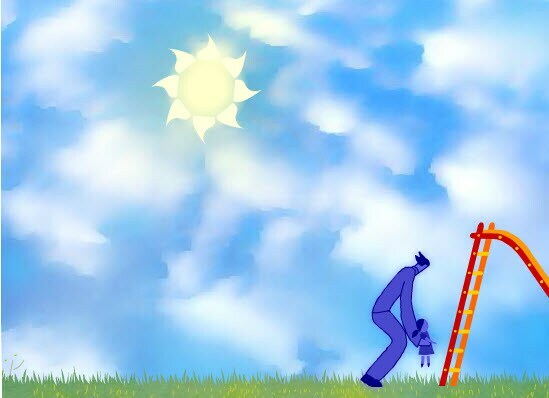 It is a very creative website! 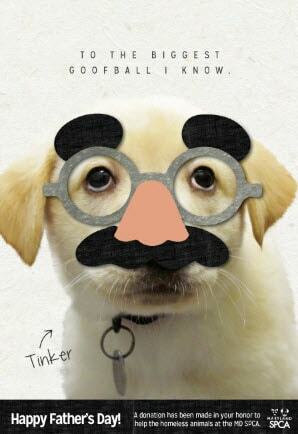 It allows making funny yet serious cards with so much professionalism and love. You will get to know what we are talking about when you will hit on this link. You can’t scroll down without looking at the cards which it offers! 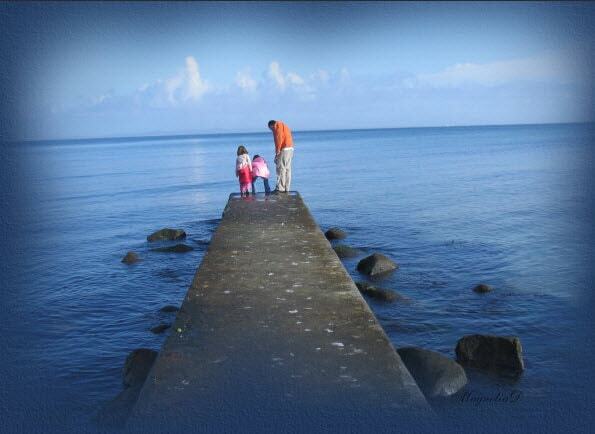 Personalised range of cards from Jacquie portrays a picture of an ideal dad. 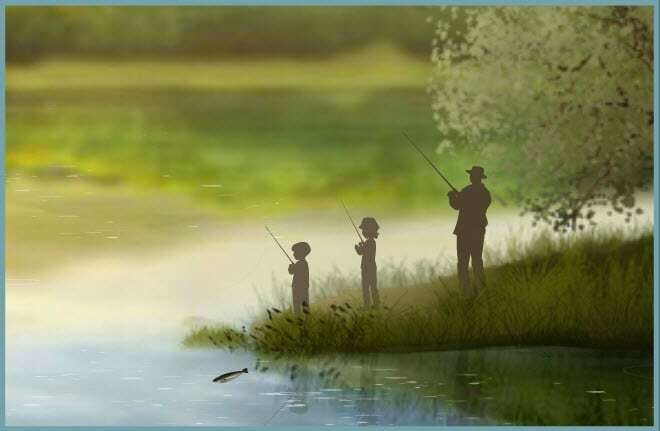 It contains many of the cards to match the hobbies of dads such as fishing, golfing, gardening and camping etc. You can picturize what he likes the most! 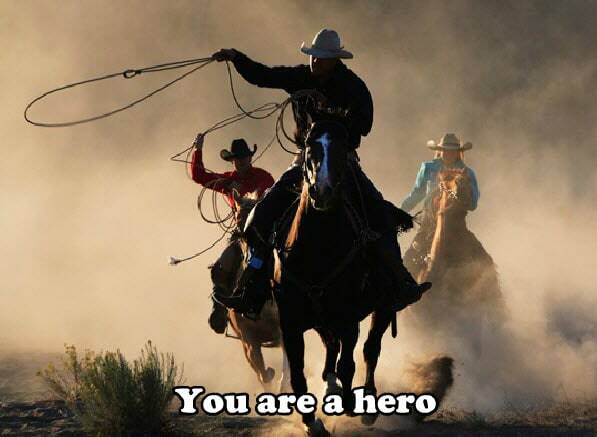 It gives you an opportunity to gift a card to the toughest guy you have ever seen in your life! Thank him for the path he has showed to you through Cross cards. Your dad is the man you follow, so thank him for giving all good lessons and integrity he has taught you. Appreciate him for all his lessons but in the funny way through cards on Blue Mountain. You can find amazing one liner cards conveying deep meanings at this website. It contains some of the adult jokes so make you’re your dad digests! The classic designs at this website are eye catchy and you can make the contemporary ones unique with your own taste and flavour! Simple, classic, heart touching and cute reflecting messages of time spent with your father is all this website has. The cards with modern graphic designs and vibrant colours and celestial look featuring unique designs from all over the globe are found here. 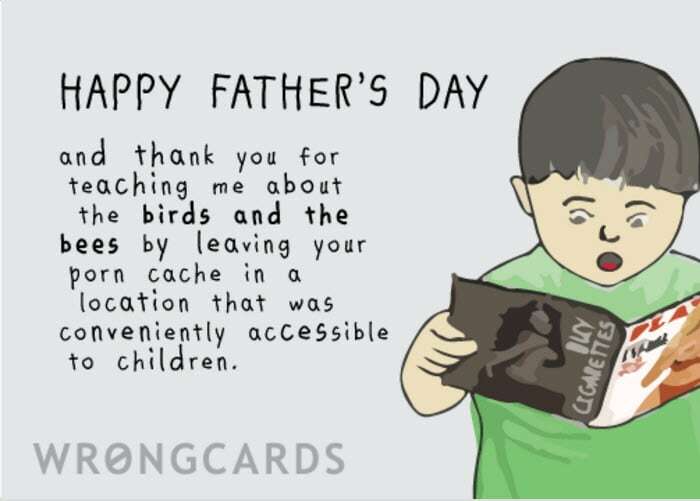 You can find cards for the coolest dad over here! Lots of interesting designs under different categories which can be customized to create a unique greeting card. 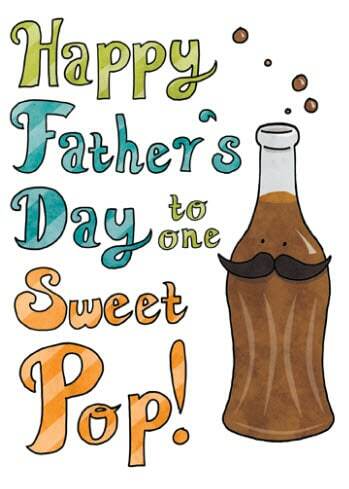 Make your dad laugh along with saying thank you for all his efforts by a lovely e-card saying open me! No-No the cards are not wrong, they are just little more expressive! Check them out for all the fun! 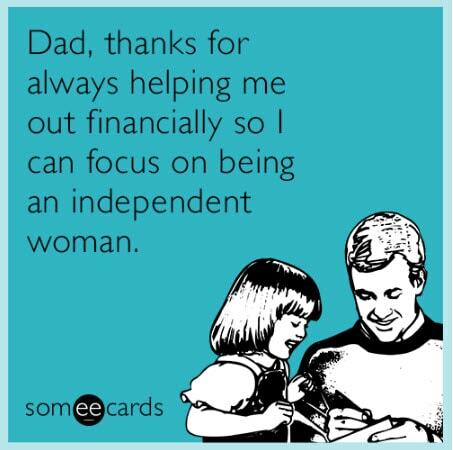 You cannot repay what he has done for you but picking up the perfect e-card is a pretty good start! 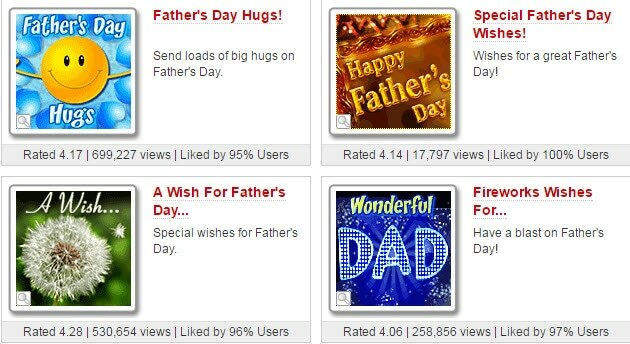 Visit these websites and add little more fun to the celebration of this beautiful day with your father!